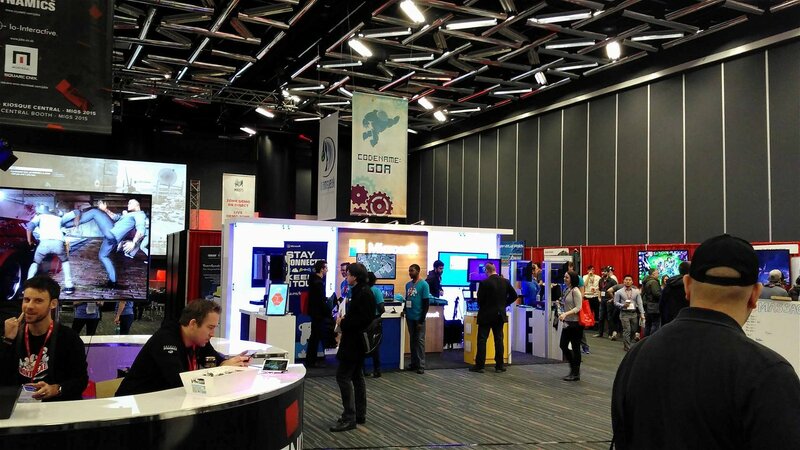 Quebec has quickly become one of the premier locations for game development in North America. With studios such as WB Games, Ubisoft, Eidos, and EA making Montreal their home, it is hard to deny how important it is to modern gaming. 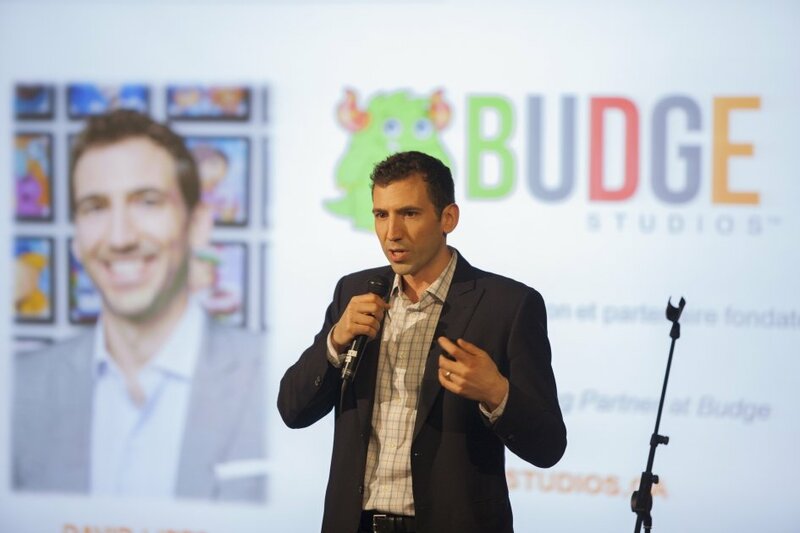 With so many major titles now coming from the studios in the region and with development not slowing down, it’s looking like Quebec will continue to be an important force for gaming. year, MIGS has one of its biggest shows yet. 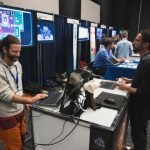 Now sprawling onto three days, it’s offering more for students and developers with master classes, major attendees, and talks on all things gaming. We were lucky enough to talk to David Lipes, Co-Founder & Co-CEO of Budge Studios and Director of Alliance Numérique, the network behind MIGS. In a candid talk, he goes over why MIGS is important, how it is changing as the years pass, and what is the future for the Quebec centric conference. CGMagazine: How long have you been involved with MIGS in any capacity? Have you gone to shows since its inception? David: I’m very familiar with the game show. I mean, I attend lots of shows. I’ve been in the videogame space for 15 years and, essentially, I’ve been participating in the MIGS, you know, annually; we’ll visit the MIGS in different capacities. This year, my company Budge is probably having its greatest presence. We have a number of different people going to attend conferences and to showcase Budge, etc. CGMagazine: On a side note, what does your company do beyond you working with MIGS. David: My company, which I founded with my two business partners, called Budge Studios was established in 2010. We are a videogame company, developer, and publisher of kids apps for tablet technology. And what we do is develop videogames for the app space basically, based on high-profile properties like Barbie, Strawberry Shortcake, Caillou, Thomas the Tank Engine, etc. So we’ll go ahead and get those licenses and create our own catalogue of games that are available worldwide on the app store. We’re a leader in the space worldwide with over 150 million downloads on a global scale. CGMagazine: So getting back to MIGS, how is your view of the progression of the show? Do you see it going where you want it to go, and do you want it to be a comparable show to say, GDC and the like, or do you feel that it’s already there? David: Well, I’ll say that every year is an evolution. And we’re always improving on the previous year; that’s our intent. Every year, we want to make it a bigger and better show. So if you want to look at this year, things that are exciting and new for this year for example, we have what we call the “masterclasses.” So this is a new addition—really intensive learning experiences in different categories of the industry. Also new, we’re a three-day event, sort-of to maximize the opportunity for students, or for industry participants to go to the conference on a day that’s not during the weekdays. Over 25,000 people we’re expecting, which is a good number for the show. And we’re bringing in, as always, amazing people to come and participate. 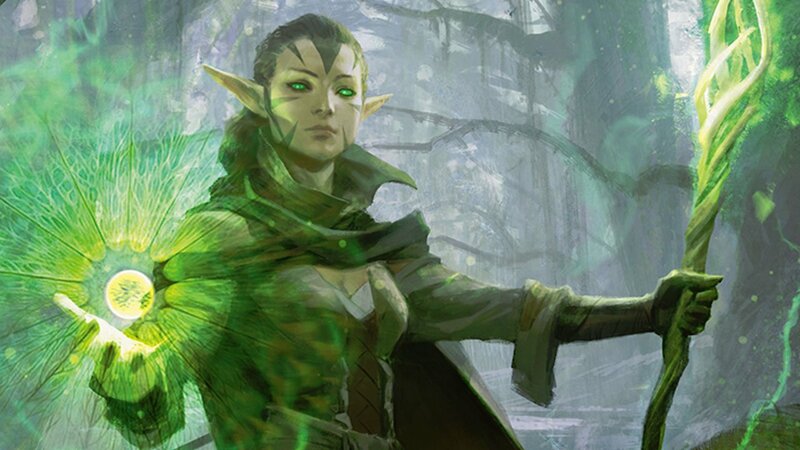 So, for example, Ian Livingstone from Games Workshop coming in. We’ve got Jade Raymond and Amy Hennig coming to talk about the Star Wars game they’re working on. So, lots of exciting stuff. Not to mention super cool things that we like to have on hand, like if you’re looking at the future, virtual reality is pretty big these days. It’s been a pretty big buzz word for a really long time. Now here we are, looking at some amazing applications: PlayStation VR, Samsung Gear VR, Oculus; you’ll be able to go in a play with that type of technology and experience that technology. And as always, it’s a great show to highlight what’s going on in Montreal. Ubisoft is highlighting their new game For Honor, so we’ll get to take a peek at that. And the huge indie community will be on sight. The diversity of our ecosystem will be here, plus we bring in people from 160 countries all over the world. So I think it’s got international appeal, on the grow, big speakers, and I think it should be an exciting time. Ultimately, the message there should be to provide a forum where people across the industry, across the world, can come and learn and share experiences with each other and to make the industry as a whole stronger. CGMagazine: MIGS is really focused on the Quebec scene, is that correct? David: Well, it’s focused on the videogame industry as a whole, that’s for sure. This is why we have speakers from all over the globe. People are coming in from different countries to share. Yes it’s hosted in Quebec, so it’s an opportunity for us to highlight what we do here, to highlight the city, but that’s why we call it the Montreal International Game Show. There’s an international component to it of course, but we get to highlight and showcase what’s happening here in Montreal. So I think it’s a strong representation of the industry as a whole. And to your point about the GDC: The GDC is the GDC, E3 is E3; all of these shows have their own cache, be it the size or the location. For us, we have this Northeast feel, this Montreal feel, and we bring in a lot of great people and you get this mix. You want to learn from people outside Montreal and people want to come here and learn how we have such a strong ecosystem here. And I think it’s great for Canada, to be honest. We have a great video game community across the country, so it’s pretty cool stuff. CGMagazine: Now, what is the future for MIGS? You’ve made this year, are you happy with the programming this year? Do you have any projections for what you plan to do in the years to come? Or is each year its own and you’ll worry about the next one after this year is finished? David: I think it’s an ongoing process and has been since its inception. This year, as I said, we’re taking those steps, adding the masterclasses, adding a new day, continuing to bring in top tier people. And yes, the day it ends we talk about it. We talk about what works, what we can do better. What’s important is we continue to offer new and exciting things. I can’t go into specifics about what next year will look at. The show’s next week and we’re excited about what’s coming up. You have to continue to offer new and fun experiences and quality experiences and that’s what we’re committed to. CGMagazine: Do you find that for the people coming in, let’s say for schools, etc, do you find having the big names there to talk about how they’ve come to this point helps students, or do you find having people more in the niche parts of the industry help, or is it a combination of both? David: Well I always refer to this, what I think is a very balanced and healthy ecosystem in Quebec and Montreal, and we get to highlight this during the MIGS; which is, if you’re coming into the industry of course you have the opportunity to meet with these companies. There are human resource booths set up to meet those who want to get into the industry, that are graduating from the variety of different schools, universities, programs that are offered; and that’s what’s cool. There are plenty of programs out there that are at the collegiate level, at the university level, there’s tons of stuff going on. So there is talent that comes out through the system, and that’s a great opportunity to meet and greet all the companies. I think it inspires entrepreneurship; new people coming into the industry are inspired to start their own thing, you need that. I think if offers quite a bit to those looking to get into the industry. CGMagazine: One final question. When you’re looking at MIGS in comparison to the big shows, what are some of the things you’re using to set yourself apart? David: I think that’s a tough question. I’ll go back to my usual answer, which is about balance. I don’t think any one show offers it all. I think getting the vibe of each core city, we talk often about Austin, Texas hub, we talk about San Francisco, Silicon Valley, amazing! Got to go to LA for E3, got to go to Vegas for DICE, you got to go to Montreal for the MIGS. What sets us apart is that we ARE in Quebec, you know? 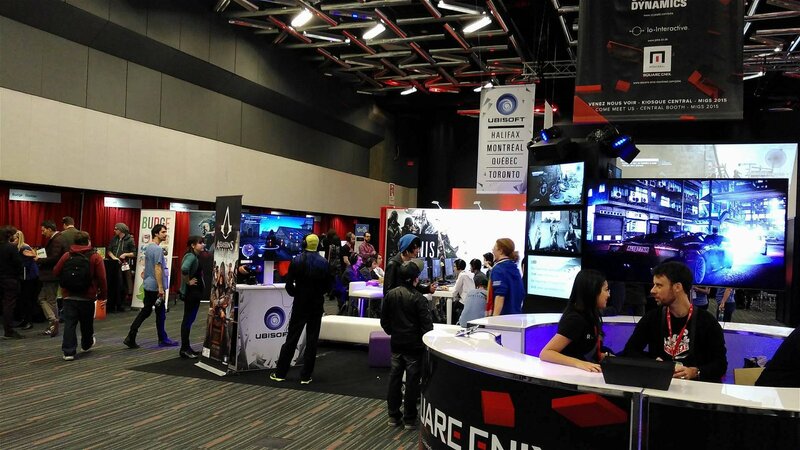 Quebec and Montreal offers its own flavour in terms of creativity that we offer in the games that we make, our amazing ability on the technology side, this vast ecosystem of talent and gaming companies. And all that together is represented at the MIGS. So you get this international show, with international flavour, but the core of it IS Montreal, and you’re not going to get that at the GDC or anywhere else.